So it’s no secret that we were in Chile for the past 4 months with me working with a company there. We took the opportunity to travel around Chile and Colombia during that time too! This post is about how I got my one year work visa for Chile in New Delhi, India. 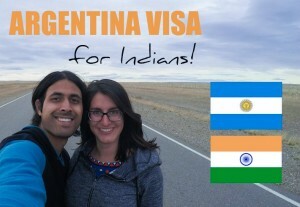 There is another article about tourist visas for Indians to visit Chile. There are several people who apply from India for Startup Chile, a startup incubator based in Chile and this post should also address some of their concerns regarding police clearance, medical certificates, etc. The process for Startup Chile folks however is a little different as the visa category is different. 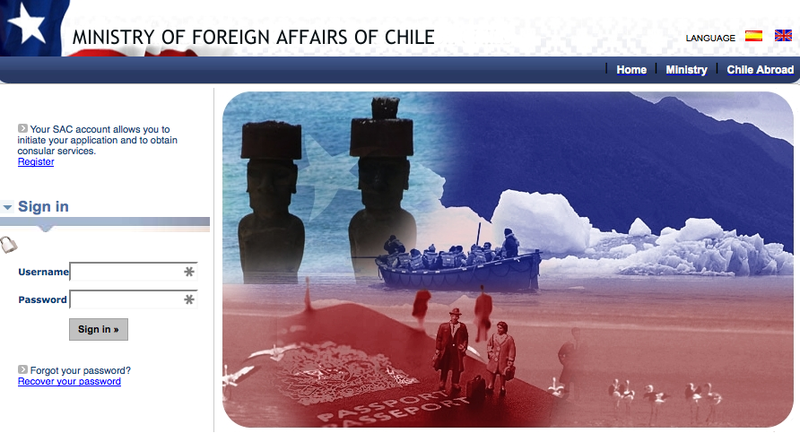 Original work contract in Spanish and English, notarized and authenticated by the ministry of foreign affairs in Chile. Tax statements of the company, other documents that prove that the company is a legitimate business operating out of Chile. Any other documents that a lawyer in Chile might say are necessary. From my side, once I received all the above documents via DHL, the process was pretty simple. I had to apply for the work visa online filling in all the details requested. You can start the application at this website. You can select English as your language choice at the top. In India there are many types of Police Certificates. The Chilean consulate doesn’t really care about which type of certificate you get. Any type is fine for them. The quickest police certificate you can get in New Delhi is one where they do not carry out an address verification for you. This is often called a “Police Verification Certificate” and takes 15 days to get. Normally people get this when they are applying for jobs within India. The Chilean consulate accepted this in my case and the lady over the phone categorically said “We just need a letter from the police saying that you aren’t in any trouble”. The other type you can get is a Police Clearance Certificate from the passport office. This takes up to 21 days as an address verification may be carried out if your passport address has changed or was verified many years ago. Otherwise, this is the quickest way to get a PCC because if your passport related police verification was done recently, then the passport office will issue the PCC immediately. This PCC will say something along the lines of you having a clear police record and the government not having any objection to you moving to Chile. The final type of Police Certificate is one that you get from the police station but also includes an address verification. Basically, it’s the same procedure as the passport office but you apply for it at the X (Special Branch) of your local police station. This can also take 15-30 days but if you egg them on, it can happen faster. This certificate will look a lot like the Police Clearance Certificate issued by the passport office. There have been many reports of people (especially Startup Chile folks..) getting a whole panel of tests done for the Chilean visa. This is totally unnecessary. When I spoke to the Chilean consulate over the phone, I was clearly advised that all they need is a medical fitness certificate. Basically something that says I am not sick and I am able to do my job. No AIDS test, blood tests, TB tests, etc. required. I went to a doctor at a local hospital and asked him for a medical certificate. He took my temperature and blood pressure and then asked me if anything else was required. I said No. So he gave me a certificate that literally said I was free from any disease that would prevent me from working as a programmer. This was good enough for the work visa. Once the documents are uploaded and you click Apply, they will get in touch with you with an interview date. On this date you basically have to visit the consulate to meet the Consul for an interview along with all your documents. The interview date they gave me was about a week away but I emailed them and requested one closer to the date of application and they agreed. Thus, I went in for an interview 2 days after I applied online. The Chilean consulate in New Delhi is quite helpful and I had an easy time dealing with them. They usually do answer the phone (very uncommon for a consulate ;)) and also reply to emails. After paying at the bank, I went back to the Consulate. I went in for my interview with the Consul. He was a pretty friendly guy and at first looked at my contract and asked me what I was supposed to be doing in Chile. I started explaining the details of the role to him and that was enough for him. He asked me if I had my degree with me and I said yes, and took it out, but he barely glanced at it. Then he said “Okay, this is all good, we’ll send this off to Santiago for approval”. What? So, apparently, the consulate collects all the documents, does the interview, but then asks the External Affairs ministry in Santiago for final approval. For this reason, the consul said that the work visa process can take 1-4 weeks, depending on when Santiago replies. Way to go uncertainty! So now, I had to wait. Luckily, and this has been my experience with Chilean bureaucracy ever since, they are quite efficient. Santiago’s reply was back with an approval in 4 working days. They did make a call in Santiago to my company to make sure they were legit, but right after the call, they sent the OK signal to the consulate. The consulate DOES NOT snail mail/courier your documents back to Santiago. Thankfully, in this day and age I believe they use email. Now, the consulate’s visa printer was apparently broken, and they said it would take 2-3 days to fix. So I had to wait an extra 3 days for my visa to be printed. However, once it was done, it was all really done! We booked our flights to Chile and took off in 2 days for an adventure on the other side of the world! There are a few things that have to be done once you reach Chile. At the airport, when you arrive, you have to fill in an arrival card. The immigration will stamp this card and you need to keep it safe. After this, I had to start the process of getting a RUN, also commonly called a RUT. A RUN is a national ID number in Chile that doubles up as a tax number and is also used for… pretty much everything. The process to get it is straightforward and you will need to do this as soon as possible because it is required for EVERYTHING (bank accounts, loyalty cards, telephone/internet connections, rental contracts, etc.). The first step is to go to the PDI which is the police department that deals with immigration matters. Once there, you need to register your presence. There is a queue but it moves pretty fast. At the end of it, they will give you a document with your picture, your address and a stamp on it which means that you have registered with the police. Once this was done, I went to the Civil Registry. The civil registry will accept your application for a RUN. When we went it was close to closing time and there was no queue at all. The lady took prints of all ten of my fingers and everyone was very friendly and helpful. At the end, she gave me a slip that showed me my RUN and an application number. She said it would take up to 28 days to get my physical ID card. There’s an online tracking system for this too although reportedly it is down at times. After 15 days the online tracking said my RUN card was ready for collection so I went to the Civil Registry again to pick it up. I stood in line and picked it up, had to sign a register but that was it. It’s great reading some practical information for Indians – not everyone can just walk in to most countries like citizens of many western nations can!! Thanks for sharing! I really love the “visas for Indians” section of bkpk.me It’s amazing how clear and thorough you are in conveying the whole process. I like your backpack page across Latin America today, so thanks for the info, Mr Ashray, My son having an indian passport and planning to visit Chile,but the visa process for that country seems tough from New Delhi. Dear ,Can you suggest me a genuine person or employer who can arrange Work Visa from Chile for my son. I don’t understand. Is your son planning to go to Chile as a tourist or for work? Depending on this, he needs to apply for the right category of visa. If he is going for work then first he will need a job offer from a Chilean company. 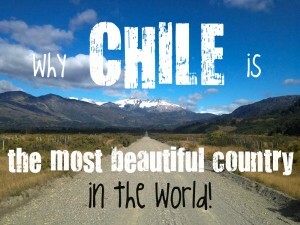 An employer based in Chile can arrange his visa for Chile if he is interested in hiring him. The procedure is outlined above but it is best if the employer gets a lawyer in Chile to handle the paperwork. thanks Ashray, my son is applying tourist visa . Thanks so much for the detailed descriptions, they’ve been rather helpful. I’ve been offered a job in Chile, but was wondering if I definitely have to be in India to get my work permit? Can I apply for it from within Chile, say from my office in Santiago where my employers will file the necessary papers for me? The terms also state that the work contract needs to be signed in front of a notary public, so I’m assuming it would be alright wouldn’t it? I’d appreciate anything you can tell me, and I love your blog! 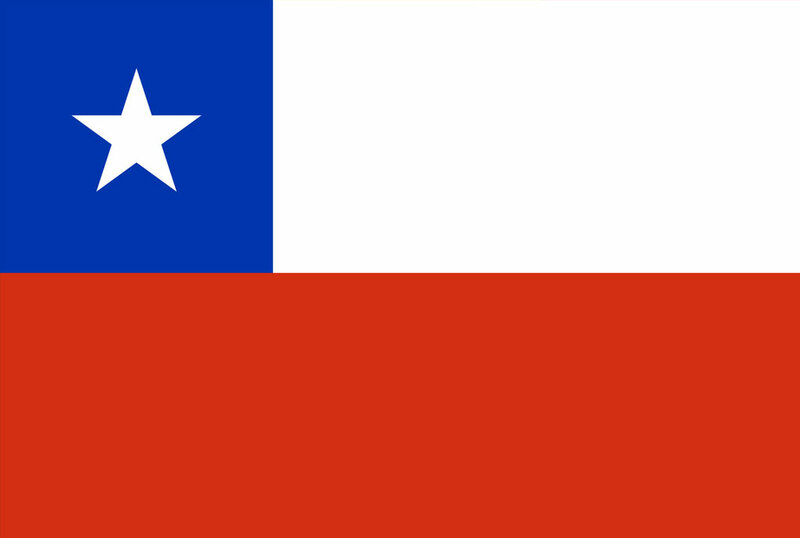 Yes, you can process your work permit once you are in Chile. Most Chilean consulates will not tell you this. Say you enter on a 90 day tourist/business visa, you will first need to apply for work authorization. Then, they will process your residence permit. You can legally work once you have your work authorization (this takes a few days..). I’ve heard from folks that it takes up to 3 months to get everything sorted but it doesn’t matter if your 90 day visa expires in the meanwhile (once your papers are processing you have legal status). Of course, if you hold an Indian passport, you’ll need to obtain a tourist/business visa to enter the country in the first place, but this shouldn’t be hard as long as you have a letter from the company, etc. 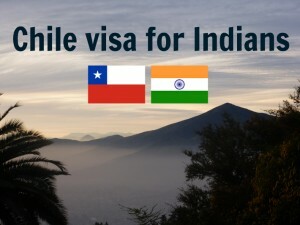 Do you have any idea about how difficult is it for an Indian to get a work permit for Chile, compared to say UK or US? If you have a job with a Chilean company you can get a work permit. I applied for work permit,they have sent me user id and password,but they didn’t response anything after that,do you know what will be my position.Im waiting for past 5 days but didn’t got only email for password. I just wanted to know is it have monitory benifit if I move to Chile from India. I see One Chilean Peso is equal to 0.6 approximately ti Indian Rupee. How would you suggest that if I get job in Chile, does it would be benifited financial to me. I recently got Job offer from one of the company with Work permit Visa. hi like everyone here..i am also looking to get settle down in chile. so from india..i wanted to know what all student visa options i have in terms of course..which course would be more beneficial for me keeping in mind that i have basic knowledge of spanish which i will improve later on once i get there..so wt study options you would suggest me to do for a commerce back student..i am looking for a post graduate course, not very expensive but at the same time best in class..In Short cheap and best. I can’t help you with that Saurabh. Most courses in Chile are taught in Spanish, so with a basic level of Spanish, I doubt you would be able to cope with a Post Graduate course. 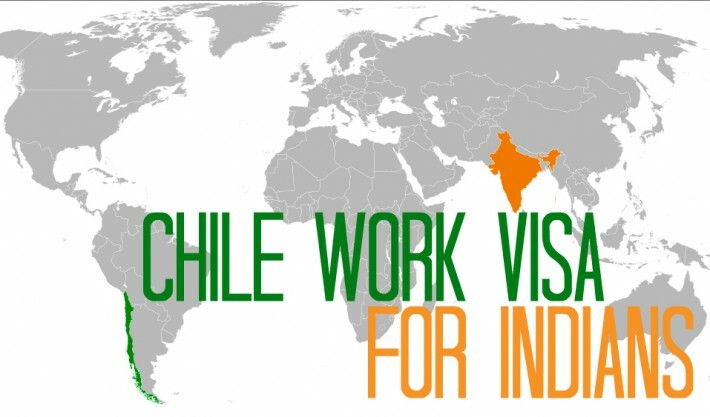 This article is about the procedure for getting a Chilean work visa done in India once you have secured employment in Chile. I can’t help you with anything beyond that. Monetary benefit depends on the job you’ve secured. As such, Chile is a far more expensive country than India. I would not suggest that you move there unless you have a really good job. Did u get solution of this? I am also facing same problem. I did! Hope it’s not too late but here’s the link. Thank you for the post. I am wondering if you can help me this. I am currently in India and I have been offered an internship in Santiago. The pay is minimal. ( but its ok for me because I have saved for this) The problem is that it will not look good on a work contract. Should I still try to apply for a work visa? Do you think they check the numbers to see if you can survive in Chile? This is a small company, so far they have only hired European nationals and they usually apply for the work/resident permit after going to Chile. Should go to Chile on a tourist visa and try to do the same? Is there something like an internship visa that I can get based on my bank statements in India? hello,i am in chile right now i am having student recidence visa for 1 year i want to conver my visa to work permit i am having work order of an hotel so pleas can you guide me for converting my visa or can send me the procedure for coverting my visa. thanks to your kind self…. The hotel that has offered you a job should be able to assist you with converting your visa status. They would need to give you a proper contract and then submit the documents to the extranjeria for authorization. You can also ask any lawyer in Centro to help you out but of course you will have to pay their fees in this case. In india i am geting 50k salary. one of the company in chile offered 120K INR. Is this good offer? What is the cost of living in chile. Life is pretty expensive in Santiago. Will you be based out of Santiago? 120k INR is ok for a young, single guy and you should able to live reasonably well. But this varies a lot based on your habits and personal situation. I am graduate in bsc from India .can I do study in Chile .if I can do then how can I get student visa and tell me all process getting student visa for chile ….and can I do work based on student visa . No, you cannot legally work on a student visa. How can i get offer letter from Chile company.Is there any site to apply jobs in Chile. Hi, I am from India and finding the any type of work in Chile if is there any job placement site in Chile who finding me the any type of job.so any one know please suggest me . I recently got a job in Vin Del Mar, Chile. Can someone please let me know how the city is? And what items should I bring from India which are not available in Chile. Vina Del Mar is a really nice city by the sea. 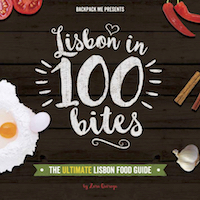 It’s fairly small and, during the warmer months, it’s where the rich of Santiago (the capital) head to on vacation. Also, there’s way more people during weekends as it is a holiday type of place. There’s big hypermarkets there, but don’t count on finding Indian stuff. For that, you’d need to stock up in Santiago (2hrs bus ride away). Vina is often mentioned as the city that offers the best quality of life in Chile.. so I suppose living there can be enjoyable. It’s right next to Valparaiso, a happening city with tons of art, nightlife, huge student population, etc. Good luck! What are the total charges to apply Chile work visa from India for Indian Citizens. I’m a Bangladeshi national, currently looking for a Chilean work permit visa. Do you know any solicitors or agents in Chile who can honestly help me by collecting a job offer for me? I’ll appreciate. they give me an appointment date. If I want to upload extra document (like pcc or medical certificate) there is no option in the website. I seriously doubt am I applying the authen site or not. I am mailed the Chilean consulate twice, but without any reply. I request you kindly check the link and advice me what to do next. That is the official site. You just upload all the documents as attachments and then submit them. Once submitted they will review the documents and you should get an email about coming in to submit hard copies. If you didn’t upload the PCC and Medical Certificate, they may ask you when you go to the consulate. It takes a few days for them to process the documents. What does the ‘Status’ say on the online interface? You could try calling the consulate on Monday morning around 10 or 11AM, they do sometimes pick up the phone. If you’re in Delhi you could also visit them. Thanks Ashray for your comments. Status say LOOK FORWARD on the online interface. Yeah, I will try to call the consulate on Monday. One thing again, I don’t need to submit my flight tickets for such visas, is not it? No, as far as I know, flights are not required. Dear Ashray, hope u remember. I had my visa interview on 15th December and after that they forwarded it to Santiago. But I haven’t got any updates after that. I called embassy a couple of times but they always say next week. I need to get there asap. Is there anything I can do to have things done quickly. I don’t find the embassy can help me out. By the way, wishes for new year to u. When I had applied they had told me that the approval could take 3-4 weeks. Mine came in a few days but Chileans take Christmas and New Year’s holidays quite seriously. This can cause some delays. So you should give it a few more days like they said. Once Santiago replies with an approval it takes only a few days to issue the visa. Hi, i am 24 years old graduate from Punjab. I came across this article and found some required information. Thanks for posting such useful information. I have a fe more ques. I want to go to chile to study wine & spanish course from multicultral institute santiego but i dont have much of financial back-up. I know I am not allowed to work as student but do you think I can get work in there for managing my living expenses. If yes what sort of job it can be normally and what would I earn working illegally just an idea. And what is average monthly expense out there. 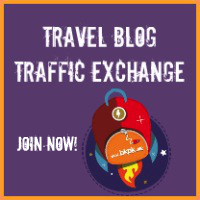 Is it easy to extent you visa after 1 year to 1 more year and get a pr? I will be allowed to work last six months of my student visa for 1 year but not while the course is going on. Your answers will be highly appreciated. I don’t know anything about student visas and I would advise against working illegally. Labor laws in Chile are quite strict and it’ll not be easy to find employment without proper permits. Please dont come to chile if an agent there says you take a student visa for chile and you will get a part time job. Its a scam around 120 boys from haryana and punjab are stucked over here in santiago. Hello i m krishan lal . I am from india . I am living in chile satiago. And i m doing study from mci insitute. My course is wine production. Currently im looking for a job in chile santiago. Hi every one , i am confused bcoz here in india agent suggest me to go chile on student visa bcoz he said u can get permenant residency after 2 two years . So does anyone know is that true? Hi hope u all doing good .. I wanted to know that..how much it will cost the whole process the 1year work permit and 1 way air ticket just rough idea ..
Can you please suggesr if the similar is possible in other countries like Canada that you visit on tourist visa and then put papers to process and then continue to be there while the visa is processed even if the tourist visa expires. Thanks.